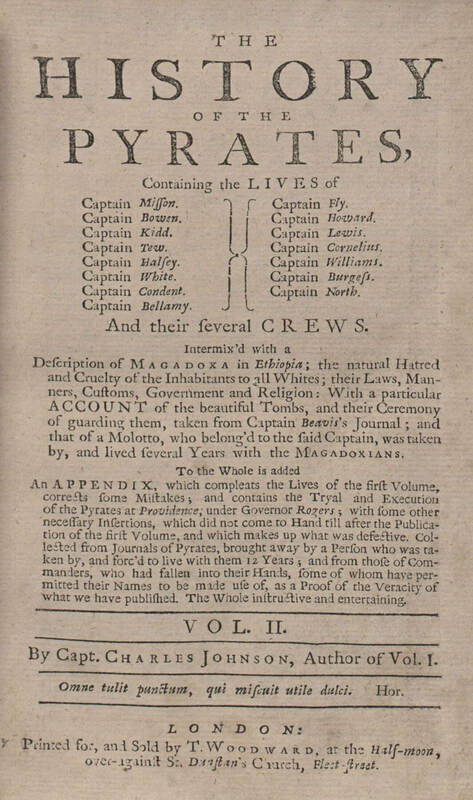 The first edition of A General History of Robberies and Murders of the Most Notorious Pirates, shortened to simply, 'A General History of Pyrates' was published in 1724 and featured many biographies and stories of the Flying Gang and other pirates from the Post Spanish Succession Period. 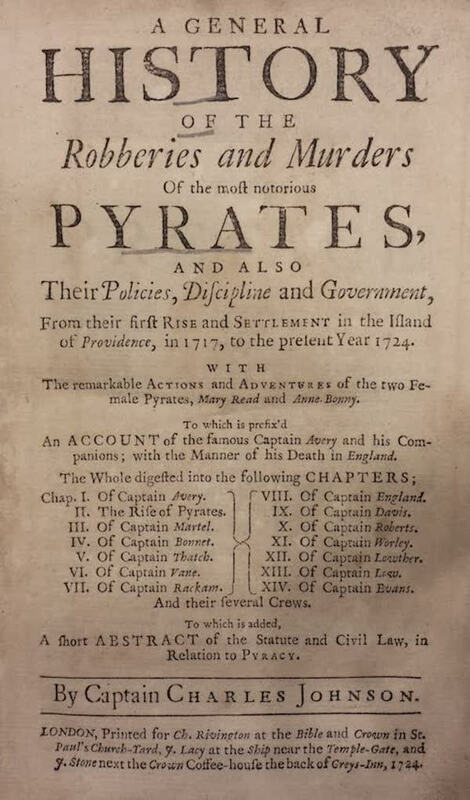 Its listed author was Captain Charles Johnson but this is believed to be a pen-name and there is real speculation as to who really authored one of the only primary source works from the 18th century of the Golden Age of Piracy. Complete with wood engravings depicting many of the famous pirates, following the first edition there were three additional editions published that incorporated more pirates between 1724 and 1726. A General History of Robberies and Murders of the Most Notorious Pirates is ultimately regarded as one of the best primary source documents regarding the pirates alongside Alexander Exquemelin's work titled originally De Americaensche Zee Roovers and displays remarkable knowledge regarding the actions and exploits of the most infamous of pirates. Normally a secretive lot, this all begs the question as to who Captain Charles Johnson really was as through modern historical research he has proven not to have ever existed. 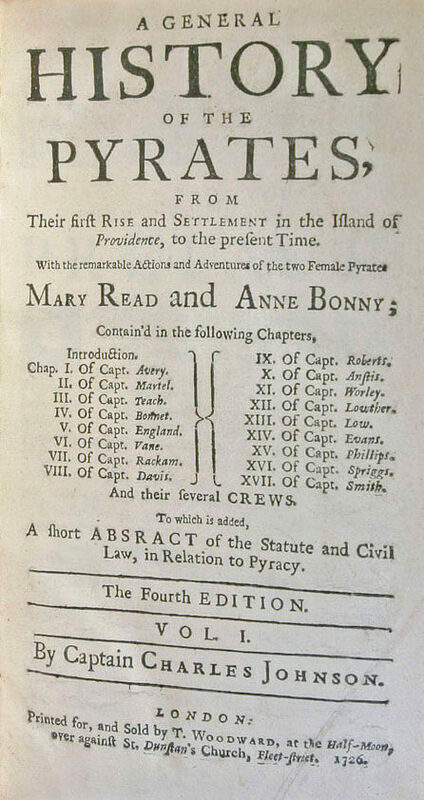 Some believe it is British author Daniel Defoe who published the work on Henry Every titled The King of Pirates however, over the centuries hundreds of anonymous works have been attributed to Defoe based simply on style who could not have possibly written them all. Others say some of the material was given to Woodes Rogers who was responsible for making sure the work was created. This would make a lot more sense as he was responsible for wiping out the Flying Gang and may have wanted to preserve their story and ultimately his story for all of time. Woodes was a known privateer before he turned pirate hunter and also a royal governor of the Bahamas therefore had the experience necessary to organize such a work. 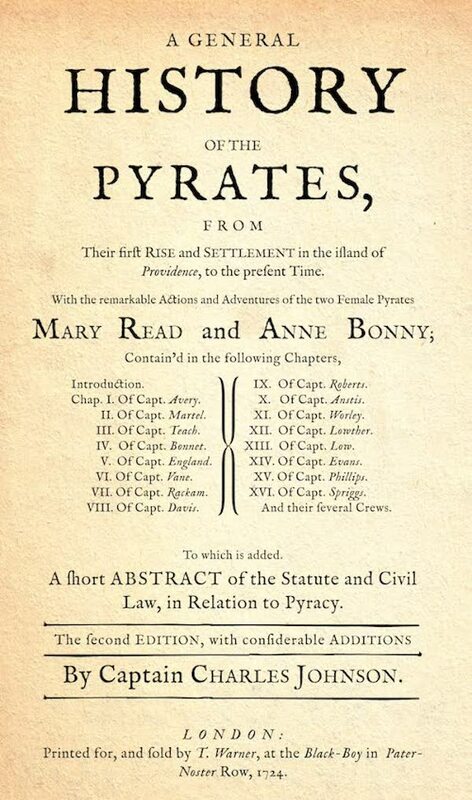 The first edition of A General History of Pyrates was written in 1724 and instantly became a classical hit. It did not feature the profiles of the female pirates but was instrumental in bringing some of the famous names of the era to the world stage. Regardless of who organized and created the work, A General History of Robberies and Murders of the Most Notorious Pirates is one of the most referenced and credible primary source documents related to the Flying Gang and the Post Spanish Succession Period of piracy. The stories contained within have been corroborated as much as possible with court documents, trial testimony and all other material records available and it seems to check out. 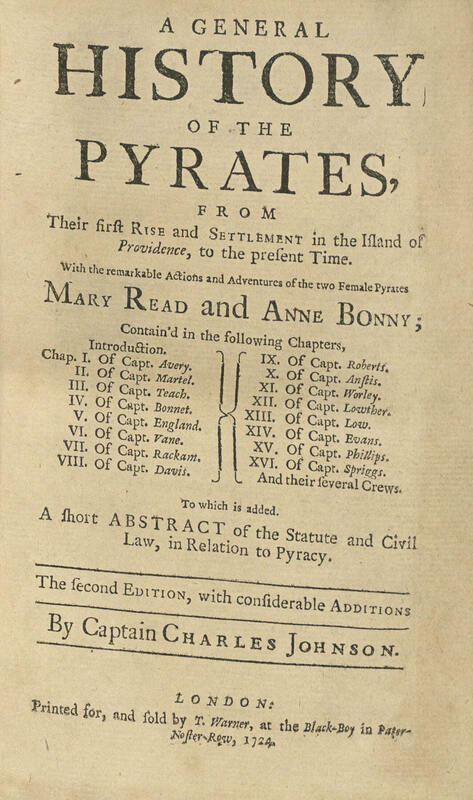 The book has influenced our modern conception of pirates beyond imagining and forms the basis for nearly all of the works about pirates that have followed especially in the area of movies and entertainment. 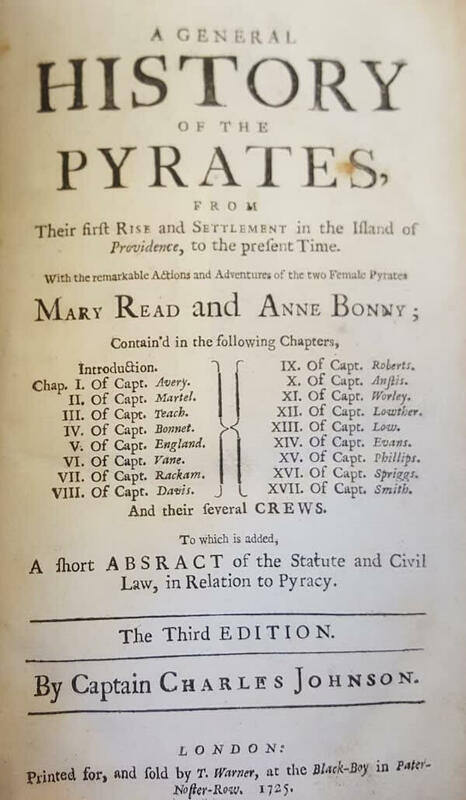 This work forms the bedrock of knowledge about what we know about pirates due to the scarcity of primary source work from the pirates who were a generally illiterate bunch who did not want to keep records anyway because that would incriminate them at trial. Overall, it almost does not matter who the author of this work is and maybe they wished to remain anonymous for fear their exposure of being a crew member on some of these piratical voyages. There were known to be many surgeons and other educated persons aboard a pirate ship and it is simply a convenient theory to simply say 'Defoe did it' and walk away and say thats that. History is not so simple and sometimes there are some mysteries better left unsolved.